Long-lasting, splash-proof and modestly priced, the Droid Maxx 2 has nearly all the ingredients of a winning smartphone. Its capable cameras and helpful software also impress, but slow performance and a lot of bloatware hold this handset back. For around the same price, you could get the Nexus 5X, which provides not only faster performance but even more endurance and the latest Android Marshmallow OS. The Nexus 5X also has a convenient fingerprint sensor and solid cameras. However, Verizon customers who want a phone that can get a little wet and go the distance should consider the Droid Maxx 2. For $384, the Motorola Droid Maxx 2 is a solid choice if you want the biggest battery possible and can't afford the Droid Turbo 2 (or if you find the Turbo 2 too large). That said, the 16GB Nexus 5X costs slightly less and has a faster processor, a better camera, the latest version of Android, no bloatware, and a guaranteed software update future. Or for roughly the same price, you can get a Moto X Pure, which can be customized via Moto Maker and has a beautiful Quad HD display. The Maxx 2 is a good phone, but stronger options abound. The DROID Maxx 2 isn’t a flagship, and it’s not going to win any competitions against them. However, it is a very viable mid-range phone that performs right where we’d expect it to. It feels nice, performs well, and lasts at least all day and all night. It’s not as high-end as the DROID Turbo 2, doesn’t feature the “Shatter Shield” screen the Turbo 2 has, doesn’t include wireless charging (in any form), and is only available in a 16GB configuration. While these are minor inconveniences, they’re a little disappointing on a new smartphone – especially one under the DROID label. 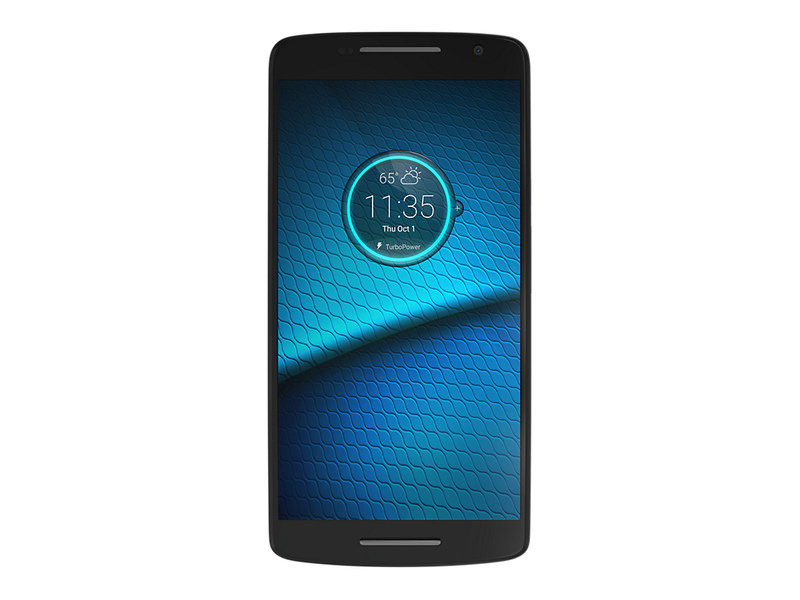 Nonetheless, if you’re a Verizon Wireless customer and the DROID Turbo 2 isn’t for you, the DROID Maxx 2 is the next in line. With the Droid Maxx 2, Verizon customers can now pick up their own version of the Moto X Play in the United States. Users can expect great battery life of at least a full day, a near stock Android software experience and a great camera for a relatively low price. 76.2%: Weltbewegend ist diese Bewertung nicht. Obwohl es bei den meisten Websites einem "Befriedigend" entspricht, muss man bedenken, dass es kaum Notebooks gibt, die unter 60% erhalten. Verbalbewertungen in diesem Bereich klingen oft nicht schlecht, sind aber oft verklausulierte Euphemismen. Dieses Notebook wird von den Testern eigentlich als unterdurchschnittlich angesehen, eine Kaufempfehlung kann man nur mit viel Wohlwollen darin sehen.